This story picks up where book one leaves off, so you for sure want to read them in order. While Riley and Jack are on their much needed honeymoon, Riley is still having to deal with the aftermath that his brother and "father" left. Riley is trying to deal with everything himself, all while trying to enjoy his honeymoon too. But when a bomb is dropped on the happy couple, they quickly leave their sand and sun to head back to the ranch... Riley has just learned that he's a dad. Jack takes everything in stride. He is Riley's partner through and through. Even when Jack knows that something is worrying Riley, Jack just lends his support. He shows Riley over and over how they are in everything together. I loved the introduction of Haley. She was a breath of fresh air. She was playful and helped to show that Jack and Riley had different sides to them than what we were introduced to. I think that I was wishing this was a longer story, because it felt that there could have been more. However, it was a great story and I can't wait to see where this family goes. 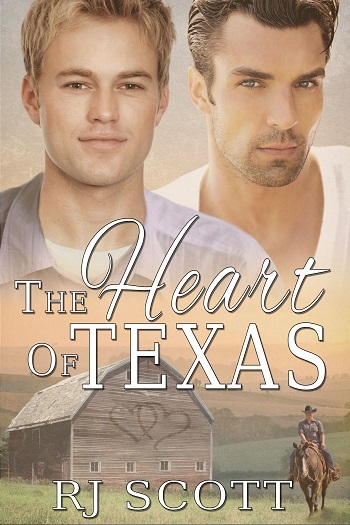 This is the second book in the series, and follows on directly from The Heart if Texas, so make sure you read that fabulous book first. Riley and Jack have to face a whole load of challenges in this installment, some from the fallout of Jeff's running of the Hayes Oil business, one from Riley's past. 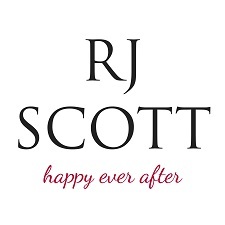 Thanks to the strength of their families, and the love between them, the reader gets a strong feeling all will work out – but there are plenty of hurdles along the way. Possibly the most significant is Riley's inner voice, which questions whether Jack will want all this chaos or give up on him. For such a strong guy, this insecurity is somehow endearing... as if we could love either of them any more! You really just need to get a copy and read it, I refuse to spoil the experience for you. I loved it. 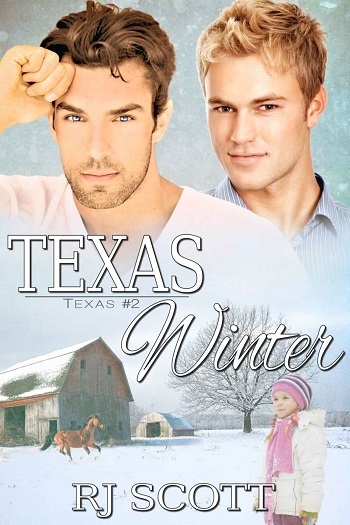 Reviewers on the Wicked Reads Review Team were provided a free copy of Texas Winter (Texas #2) by RJ Scott to read and review.